Universal Orlando has just announced that they will be adding a day to their hugely popular 3-Day Military Ticket for no extra charge in 2017!!! 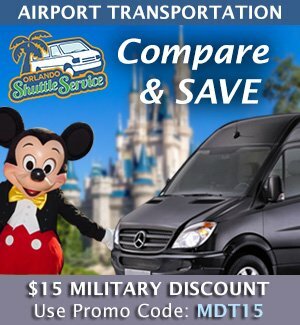 The offer consists of a 4 Day Park-to-park ticket good at either 2 or 3 parks. Offer Dates: 4 January 2017 through 20 December 2017 – No blockout dates apply. 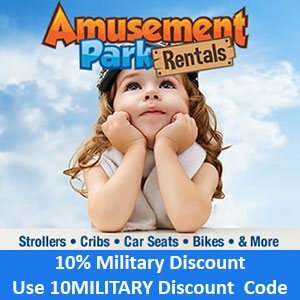 The 2-Park 4-Day Park-to-Park Military Promotional Ticket entitles one (1) guest admission to the following Universal Orlando™ Resort theme parks each day: Universal Studios Florida™ andUniversal’s Islands of Adventure™. Ticket is valid for any four (4) calendar days during a seven (7) consecutive calendar day period which includes the first day any portion of the ticket is used. This ticket also includes seven (7) consecutive calendar days of admission to select live entertainment venues of Universal CityWalk™ which commences and includes the first day any portion of the ticket is used. 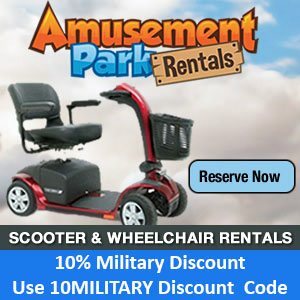 The 2-Park 4-Day Park-to-Park Military Promotional Ticket entitles one (1) guest admission to the following Universal Orlando™ Resort theme parks each day: Universal Studios Florida™, Universal’s Islands of Adventure™ AND Universal’s Volcano Bay™ Water Theme Park. Ticket is valid for any four (4) calendar days during a seven (7) consecutive calendar day period which includes the first day any portion of the ticket is used. This ticket also includes seven (7) consecutive calendar days of admission to select live entertainment venues of Universal CityWalk™ which commences and includes the first day any portion of the ticket is used. Guest must present a valid Military ID at time of purchase, when exchanging at the Universal sales window, and upon each redemption at the turnstiles. Unused days will be forfeited.